ou’ve decided that it’s time to downsize and to do it in Vermont, so now you’re searching for a builder who specializes in high performance / zero energy home construction. Well, two out of three “ain’t bad” as they say. Some prefer to use the word “rightsize” rather than “downsize,” but we don’t get hung up on which one sounds best. Both mean pretty much the same thing. So let’s go for a perfect batting average and find a builder you can believe in and trust that, when it comes to high-performance construction technology, he knows his stuff. After searching far and wide, you have finally found a custom home builder who’s been in business for more than forty years, and whose rather rudimentary website boasts that his price will beat anybody’s. Today you are meeting with him for the first time at his office, where his hallway is cluttered with old designs and photos of homes his company has built since 1970. You’ve come equipped with 25 questions based on this series of blogs (this is installment 2 in that set of questions), because you want to avoid entrusting your nest egg to someone who knows building but is not on the cutting edge of zero energy custom home construction. For your information, since I’m on vacation this week, I’ve invited my father, who founded both our businesses (Biebel Builders, Inc. and Prudent Living, Inc.) to contribute his thoughts in this and next week’s blog, to help you understand as much as you want to know about zero energy home construction methods that are available today – keeping in mind that our core mission is to educate and inform, as well as to design and build for those who ask us to do so). The remaining comments include our combined perspectives on the following questions, which, like last week, we encourage you to research for yourself in addition to what you learn from this column. We believe that the future is here when it comes to home construction. There is ZERO sense to using old and outdated conventional construction methods in Vermont with the technology we now have at our disposal. These practices will save more money than they will cost while protecting your investment so that should you ever decide to sell and move on, you won’t end up with a home that nobody wants. You will learn a lot by trying to answer the following questions BEFORE consulting our answers and any links that we provide with them. What is a blower door and what is its purpose? How often would you use it during construction? What is the difference between R-value and U-value? What are the advantages of investing in triple-glazed windows? What is a HERS rating, and what is it used for? What types of Air Exchangers have you used and how do they work? Have you ever installed Mini-Splits and other heat pumps? What do you know about Heat Pump Water heaters? I (Paul) remember my first encounter with a blower door test on a house we built on top of Bear Mountain at Killington. I was a little nervous about it because I thought it was just another gimmick to make builders look bad. Just the thought of sucking air into a building and showing the results to owners made me wonder what else they will use against us. But the opposite thing happened. I was so impressed with the machine that I bought one so we could do our own testing. As a result, I became very teachable and learned a lot about the relationship between air and moisture; how it moves and how to prevent associated problems from taking residence in unseen wall cavities. The blower door reveals a lot to us about the tightness of our exterior wall systems. Now, instead of resenting it, we (myself and my entire crew) have come to depend on it. Aside: One of the sisters to the blower door test is the infra-red scan that we perform with our infrared camera. This test also reveals where there are problems areas in the exterior shell. We use this camera to scan for temperature differences in the exterior frame. These differences can be caused by both air movement and the existence of moisture. The best time to perform an infrared scan is when there is a significant difference between the indoor and outdoor temperatures, for example in the winter when it’s 20 degrees outside and 72 degrees inside. This is referred to as the “Delta”. Question 1. What is a blower door and what is its purpose? How often do you use it during construction? Answer: A blower door is a machine used to measure the airtightness of buildings. It can also be used to measure airflow between building zones, to test ductwork airtightness, and to help physically locate air leakage sites in the building envelope. We use the blower door to test the house at various stages of construction. As soon as the air barrier is complete to a point where we can test we do so. This helps identify minor air leakage in the building envelope and it gives us an opportunity to seal things up before insulation and sheetrock covers everything. We also perform a final test at the end of the project to verify that the air tightness has improved; with results sometimes show as much as 40 percent improvement. Question 2: What is the difference between R-value and U-value? Answer: R-value is a measure of Resistance to heat flow; thus, a higher R-value indicates better insulation, or to look at it another way a higher R-value means better energy efficiency. This value is most often applied to components of a home; for example, attic insulation, or the total insulation of all the components of an external wall of a home, or even the ability of the slab to resist transfer of heat out or cold in. A U-value is most often applied to windows or doors. It is a measure of how much energy is lost or gained through conduction or radiation; thus, a low number is better in terms of energy efficiency. If your builder does not know the answer to this question, the rest of your discussion is going to be difficult, at best. See: https://en.wikipedia.org/wiki/R-value_(insulation). Question 3: What are the advantages of investing in triple-glazed windows? Possible answer: Not much, as far as I’m concerned. There are some savings, but it can take a very long time before you recoup your cost. We recommend double-glazed window because we know that any window is just a hole in the wall that lets out heat (or lets in heat in the summer). So my preference is to use less windows, and stick with double-glazed, and you’ll be fine. Our answer: Triple glazing is worth the extra cost because the two air spaces (versus only one in a double-glazed window) injected with a gas (usually krypton or argon gas) can improve the U-value by 20-30 percent. They are more durable, they’re more comfortable (warm to the touch inside), and they reduce condensation. Properly installed, triple-glazed windows should pay for themselves over time. This is why we recommend them in all our high performance/net zero energy homes, tell our clients why, and let them choose. For more information, see: http://www.fibertec.com/double-vs-triple-pane-windows/. NOTE: We plan to return to this question alone in a future blog. Question 4: What is a HERS rating, and what is it used for? Answer: The builder may crack a joke about this one, if he doesn’t know the answer. For example, he might loudly guffaw and say, “My HERS rating is based on how much my wife lets me spend on new sporting gear in any given year. Yuk. 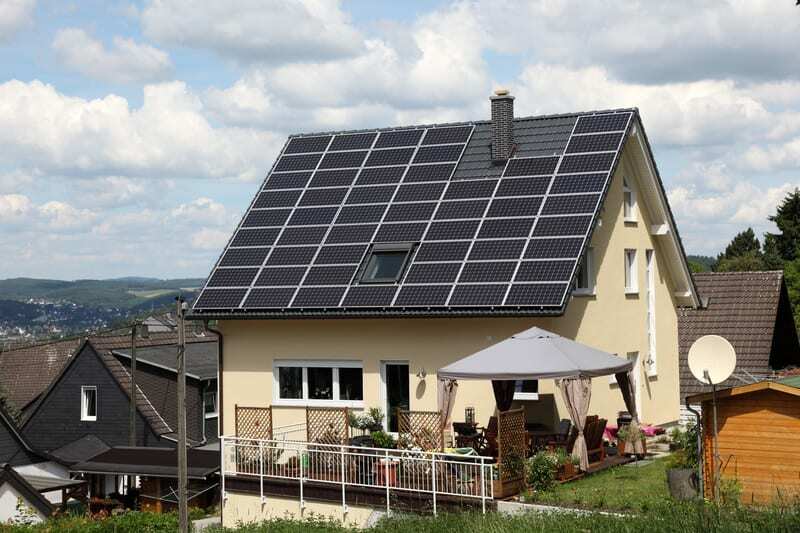 Yuk.” Real answer: The HomeEnergy Rating System (HERS) Index is the nationally recognized system for inspecting, testing, and calculating a home’s energy performance; kind of like “miles per gallon” rating of automobiles. The lower the HERS Index score, the more energy efficient is the home.For example, a Vermont farmhouse built 100 years ago, with nothing in the attic, newspapers in the walls, and single pane windows might score 150 or higher. You can almost see the dollars flying out the windows, doors, and attic in the winter. 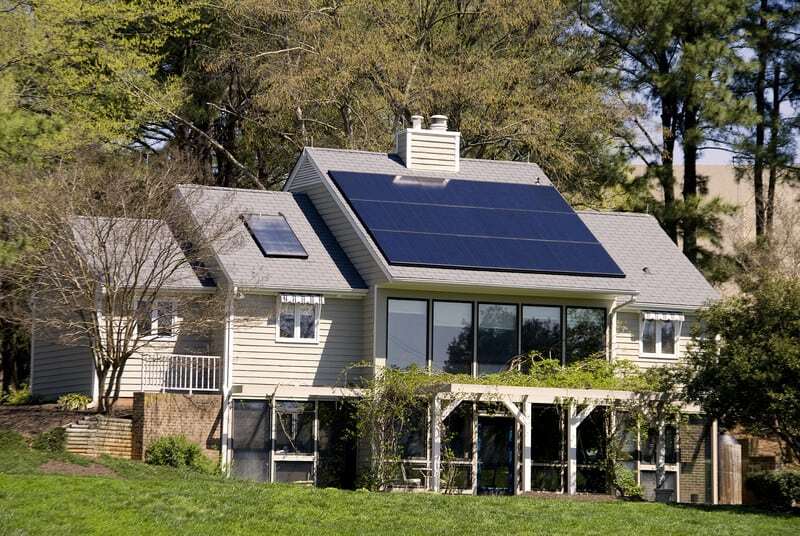 By contrast, a HERS Index Score of ZERO is a net zero energy high-performance home, usually custom made. Our best HERS Index Score so far has been: -9 (9 below zero). ­­­­­For more information, see: https://www.resnet.us/hers-index-score-card. Also, you can watch this video on our website: http://prudentliving.com/homes/. Question 5: What types of Air Exchangers have you used? Answer: There are many on the market, but our research and experience has led us to mainly use Lunos e2 air exchangers because they don’t require any ductwork and they operate very quietly. For more information, see: https://foursevenfive.com/wp-content/uploads/2014/05/Lunos-brochure-e2-475.pdf. Question 6: Have you ever installed Mini-Splits and other heat pumps? Answer: These products are relatively new, and especially practical in high performance (energy efficient) new homes. They can also be installed in older homes, but are not likely to be as effective in heating or cooling unless the home has been re-insulated and air sealed first. Since our focus is primarily new zero energy, high performance homes, we install mini-splits in all our homes, which rely on them for main heating and cooling, with a helper backup system of some sort to supplement the heating function in extremely cold weather. See the following for more information: http://energy.gov/energysaver/ductless-mini-split-heat-pumps. Question 7: What do you know about Heat Pump Water heaters? Our Answer: We install these in every house we build. Heat pump water heaters convert warm ambient air in the house into hot water. This results in a rather pleasant cooling effect to the house. This is a great feature in the summer because it’s a double win because the water heater is creating hot water and cooling the house at the same time, but during the cold winter months it can pose some problems as spaces can become too cool, forcing the mini-splits to kick on and replace the cold air produced by the hot water heater with warm. Thus, it is important to consider the location of the heat pump water heater. Fortunately, heat pump water heaters have a switch that allows the heat pump portion to be turned off during the winter. The heat pump water heater becomes a normal electric water heater at that point, which is offset by the power produced by your photovoltaic solar array. See: http://energy.gov/energysaver/heat-pump-water-heaters.